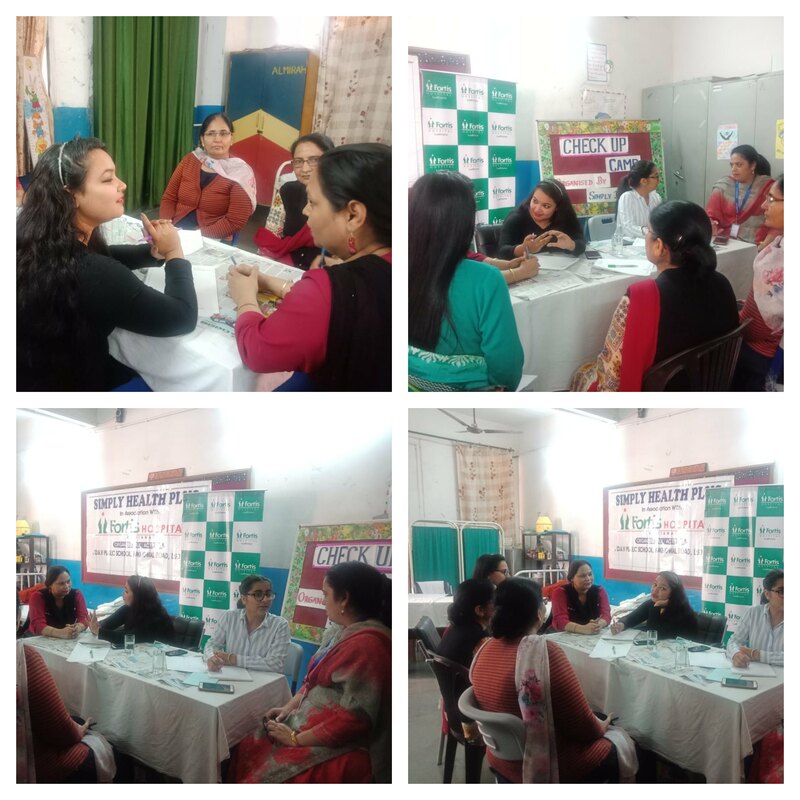 D.A.V Public School, Pakhowal Road, Ludhiana in association with Simply Health Plus organized a special Health Camp for its teachers on 27-03-2019. An expert team of Dieticians from Fortis Hospital, Ludhiana under the able supervision of Dietician Ms. Arunita Ahuja H.O.D. Dept. of Dietetics Fortis Hospital, Ludhiana visited the school for the health consultancy of the school staff. The esteemed faculty sorted out several queries and issues related to health and diet. Ms. Arunita began with general health talk and suggested short and frequent meals. The staff members were prescribed various diet patterns and plans according to their needs. The team held one to one consultancy with the teachers and the teachers and spread awareness about maintaining balanced and active lifestyle. They also prescribed many healthy strategies which the teachers can follow to maintain good health and patience while working. The Principal Dr. Satwant Kaur Bhullar urged the teachers to follow healthy food habits. She stressed the maintenance of good health for improved concentration and better performance. She also assured that the school will keep on organizing such camps to ensure the medical fitness of its staff and students in future also.